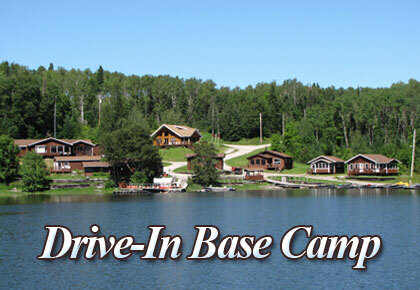 Pickerel Arm Camp is your gateway to some of the best walleye and northern pike fishing in all of Ontario. Located at Sioux Lookout in Northwestern Ontario, Canada, Pickerel Arm Camp offers a perfect combination of deluxe accommodations and incredible fishing. We pride ourselves on excellent guest services, affordable prices and fantastic fishing. Come and discover for yourself the vast wilderness and breathtaking beauty that Ontario has to offer. 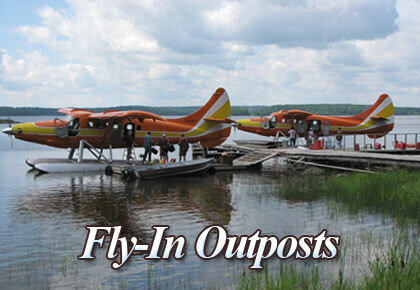 Whether you choose to hop in a float plane and fly out to an outpost on a remote lake, or stay and fish right at the drive-in base camp, Pickerel Arm Camp has something to offer for everyone. You will need to create an account and password. If you have an existing Ontario Fishing Outdoors Card have it available. If you lost your card or need a new card, you will be able to purchase a new one. You will also need a credit card for purchase. Licenses can be printed off at home ahead of time or downloaded as a mobile version on your smartphone. Things to know: If you are from the United States, you are a Non-Resident of Canada. And Non-Resident of Ontario Sportsman license = limit of 4 walleye and 4 northern pike. 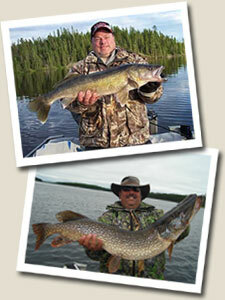 Conservation license = 2 walleye, 2 northern pike Choice of 8 day or Seasonal license. Fly-in outpost groups may want to start licenses the day they arrive at camp. Blackstone Lake is Conservation only; all other lakes you have the option of a Sportsman or Conservation license. Reminder for hunting groups – If you have a current Hunting Outdoors Card, re-new as a Hunting card, not fishing.